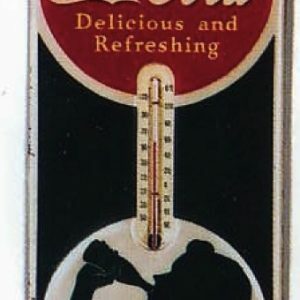 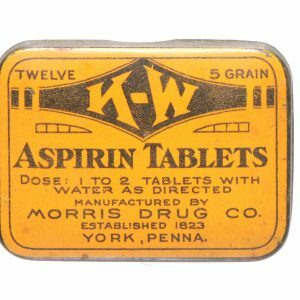 SKU: 75-160. 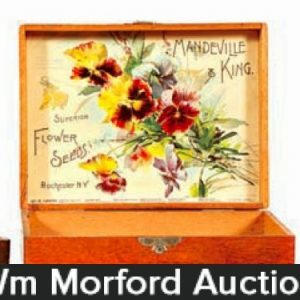 Categories: Boxes and Crates, Farming/Agriculture. 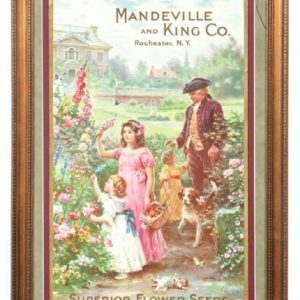 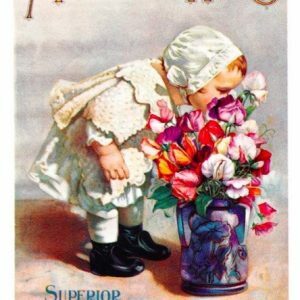 Company/Brand: Mandeville & King Co., Mandeville & King Superior Flower Seeds. 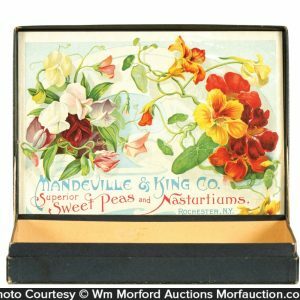 Mandeville & King Seed Boxes: Lot consists of a nice group of three different early wooden flower seed display boxes from Mandeville & King Co., Rochester, New York, each w/ beautiful multi-color labels inside Boxes have original finishes to wood and paper labels on inside are clean, bright and very nice (one box is missing small piece from its metal clip fastener on closure).